The sign to look for as you drive down Third Steet. This view is facing south. This is the shopping center at the corner of Third Street and 10th Avenue North. 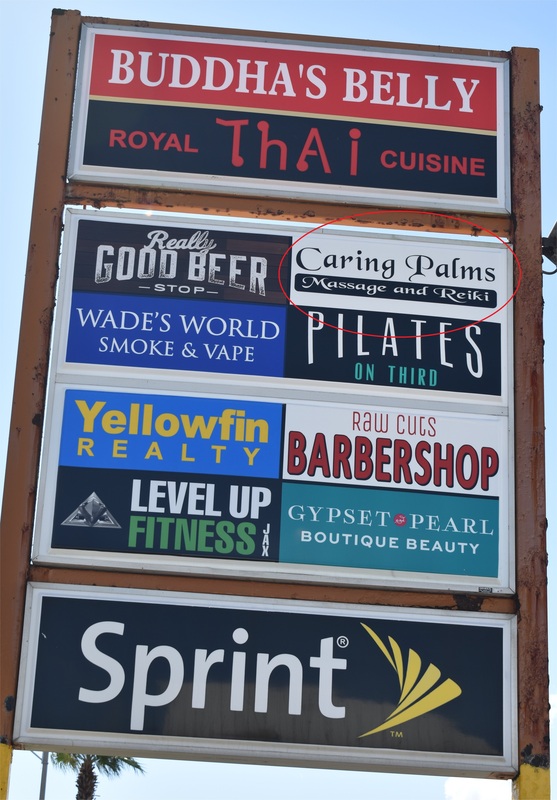 Here is Caring Palms as it sits between its neighbors Buddha's Belly and Level Up Fitness. Our sign is actually above the window of the restaurant. The entrance and front window is between the white columns in the corner. 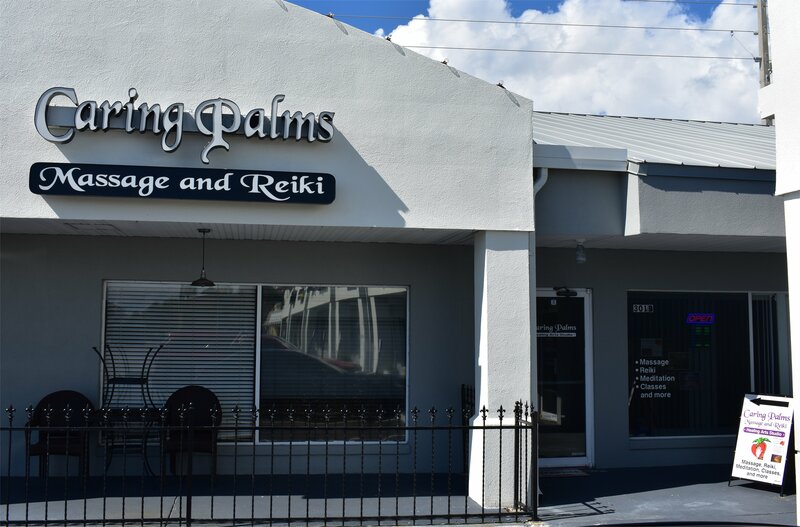 This is the Caring Palms entrance with the front door to the right of the white column.